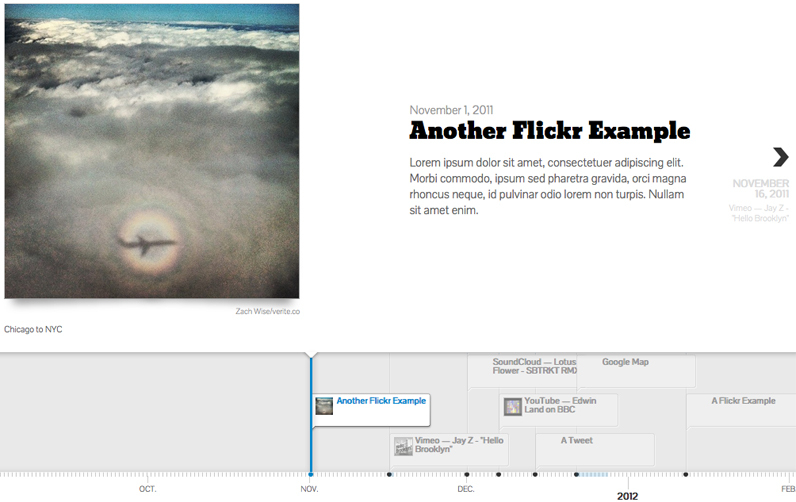 KnightLabs is giving away a nice tool to create timelines, using Google Spreadsheets. I was trying to embed it here but realized I can’t do that since I’m using WordPress.com instead of WordPress.org, so that type of embed is not allowed. But you can click on the link to see the timeline live. It all works off of a Google spreadsheet that organizes the media and text, which is then published to the Web and a link thereto is embedded in your blog. Seems to be very powerful, though I have yet to play around with trying to change the media.